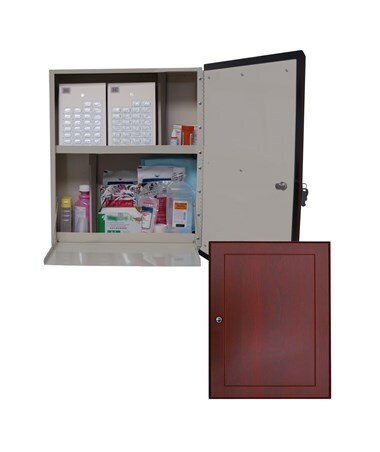 The Harloff Wood Laminate Exterior Wall 40 Punch Card Medication Cabinet is an in-room installation storage device designed to support 1 - 2 residents and can hold up to 40 punch cards. It features a rich wood appearance to create a more comfortable space for the patient. 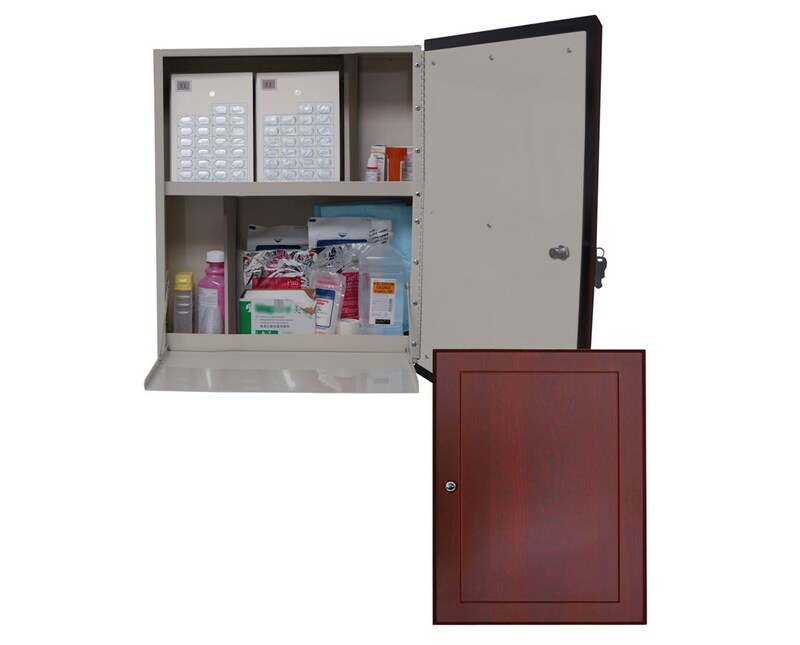 With an all-steel construction, the Wood Laminate Exterior Wall 40 Punch Card Medication Cabinet is well-built and has a durable, hard-baked powder coated finish with a glossy beige. It uses MDF Panels that are covered with a special heat-pressed thermal foil wood laminate for added durability. The cabinet has pre-drilled holes and includes hardware for exterior wall mounting into wooden studs with 16" centers. The cabinet's doors have a decorative recessed panel and have a slam lock system for hassle-free one hand operation and secure the supplies inside it. Stainless steel pinned door hinges are designed to protect the pins used in the cabinet's construction to prevent tampering.